Since I was a kid, carving pumpkins as a family was always one of our favorite fall traditions. 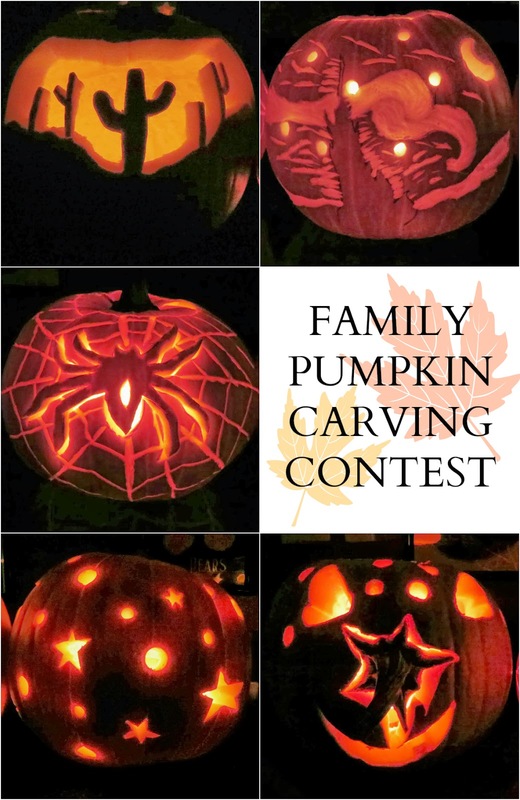 In the more recent years, we've put a competitive spin on our pumpkin carving and we've turned it into a big family contest (we also do the same thing with gingerbread houses at Christmas time). For the past couple years we've asked neighbors to pick their favorite designs—but this year, I thought it would be fun to take the poll to my blog to see which pumpkin YOU guys think is the best. So what do you think? Which design is your favorite? Please leave a comment letting us know below... can't wait to share the results with my family!